Ford has unveiled their first ever fuel-free, rechargeable passenger car at the 2011 Detroit Auto Show. In fact, Ford says this will be the first of five total fuel-free vehicles they plan on revealing. The new Focus Electric will be offered in both North America and Europe by late 2011 and is Ford’s response to the Chevrolet Volt and the Nissan Leaf. We knew it would come eventually, we just didn’t they were planning on bringing a whole troop of fuel-free vehicles to go up against the competition. 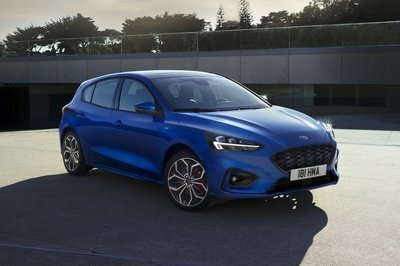 The new Ford Focus Electric will be launched with a series of new technologies including a unique version of the MyFord Touch driver connect system especially for electric vehicles, a new value charging feature powered by Microsoft, and a smartphone app called MyFord Mobile that helps plug-in owners control their vehicles remotely. The model uses a Ford-engineered lithium-ion battery pack that can be charged using the recommended 240-volt wall-mounted charge station (sold separately) or the 120-volt convenience cord that comes with the vehicle. According to Ford it delivers a mile-per-gallon equivalent better than the Chevrolet Volt. 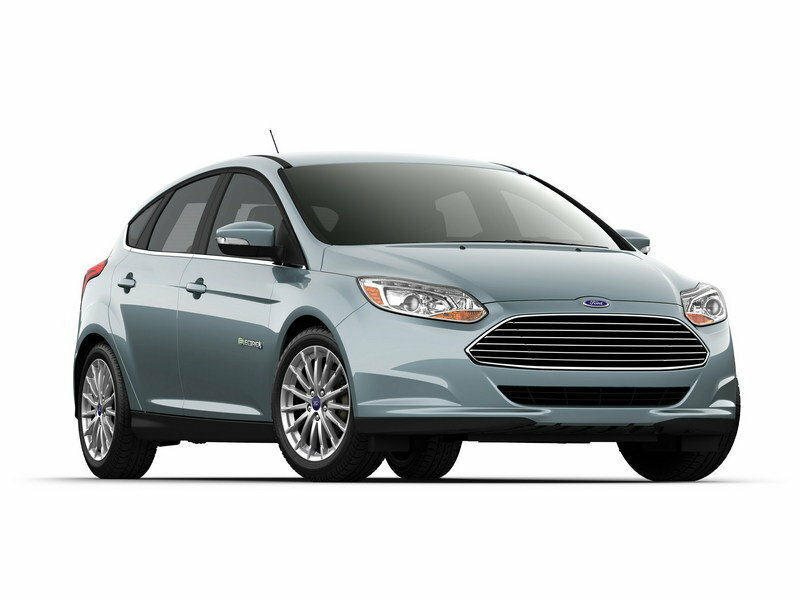 Hit the jump to read more about the 2013 Ford Focus Electric. The Focus Electric is a stylish five-door hatchback built on the same C-car platform shared by the gasoline and diesel-powered Focus models. With this model, customers will get a revised MyFord Touch driver connect technology, 15-spoke 17-inch aluminum wheels, a 60/40 split rear bench seat, push button start, AM/FM/CD/MP3 Sony Audio with nine speakers, Sirius Satellite Radio with Travel Link, HD Radio, and a voice-activated Navigation System. 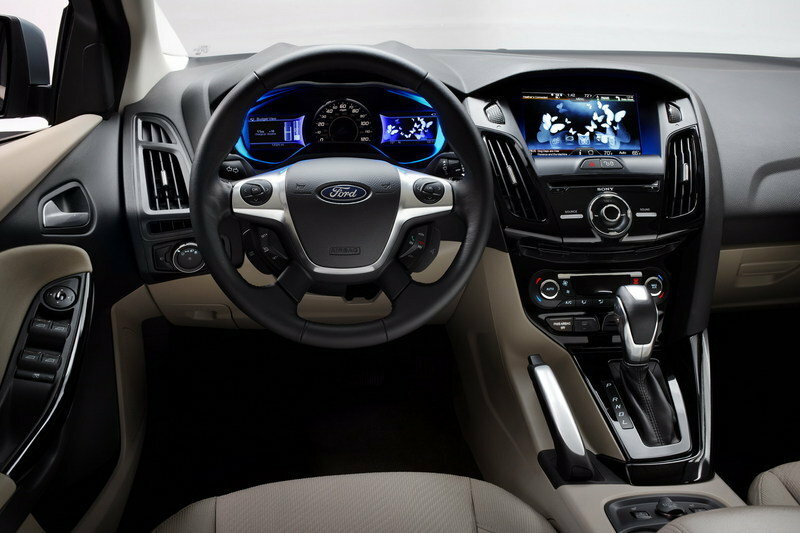 One of the most important features of the car’s interior is a new MyFord Touch system that offers information about range, destinations, and charge points. This allows the driver to feel at ease on the road with all of the needed information on hand. 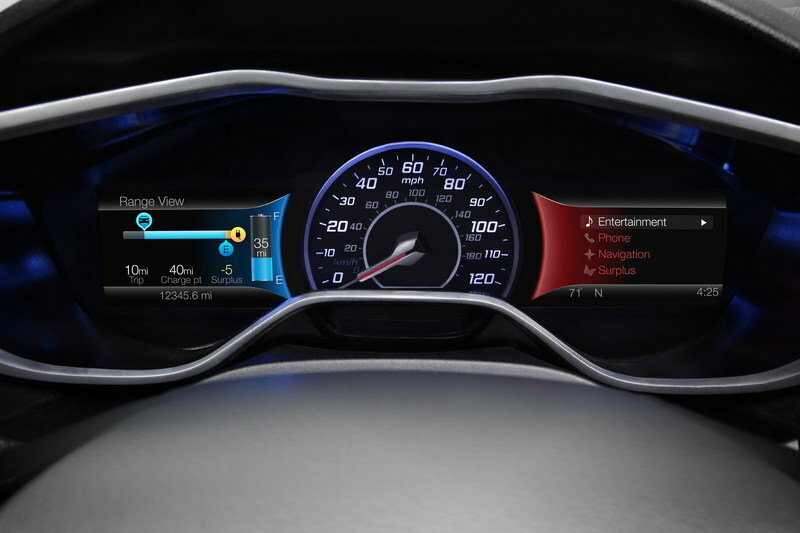 These details will be displayed in the two 4.2-inch full-color LCD screens located in the centrally mounted speedometer. The new Ford Focus Electric uses an all-electric powertrain connected to a single-speed transmission that helps the car hit a top speed of 84 mph. The lithium-ion battery pack can be charged at any 240-volt wall-mounted charge station and can be fully charged in three to four hours. According to Ford, the Focus Electric delivers a mile-per-gallon equivalent better than the Chevrolet Volt and is competitive with other battery electric vehicles. 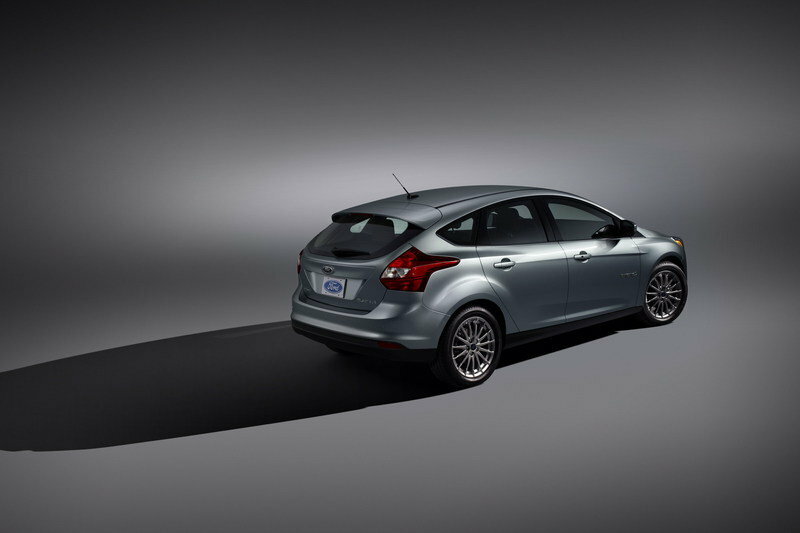 The Focus Electric will be available for both European and American markets by late 2011. For the new Ford Focus Electric, the list of competitors is quite short and includes the latest Chevrolet Volt and Nissan Leaf. For us the best looking one is the Nissan Leaf. 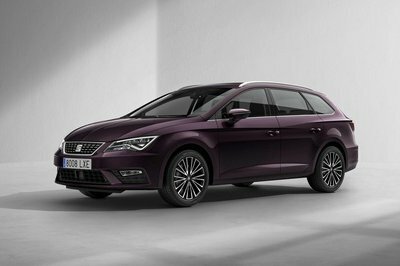 It uses lithium ion cells that are capable of delivering up to 107 HP and 208 lb-ft of torque. Nissan claims that the Leaf will take 8 hours for a full charge from a 200 V source - so a high capacity 220 V outlet is recommended, otherwise it will take twice as long for a full charge from a standard 110 V AC outlet. The Chevrolet Volt is designed to drive up to 40 miles on electricity without using gasoline or producing tailpipe emissions. 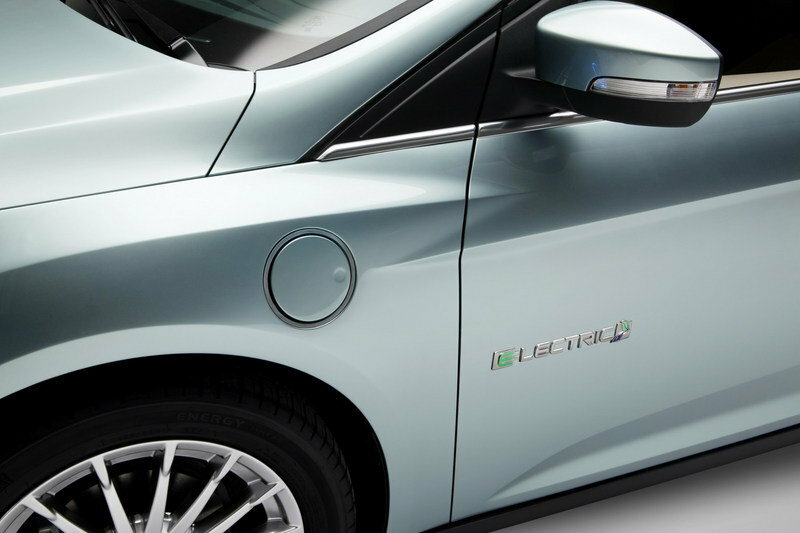 When the Volt’s lithium-ion battery runs low, an engine/generator seamlessly operates to extend the total driving range to more than 300 miles before refueling or stopping to recharge the battery. 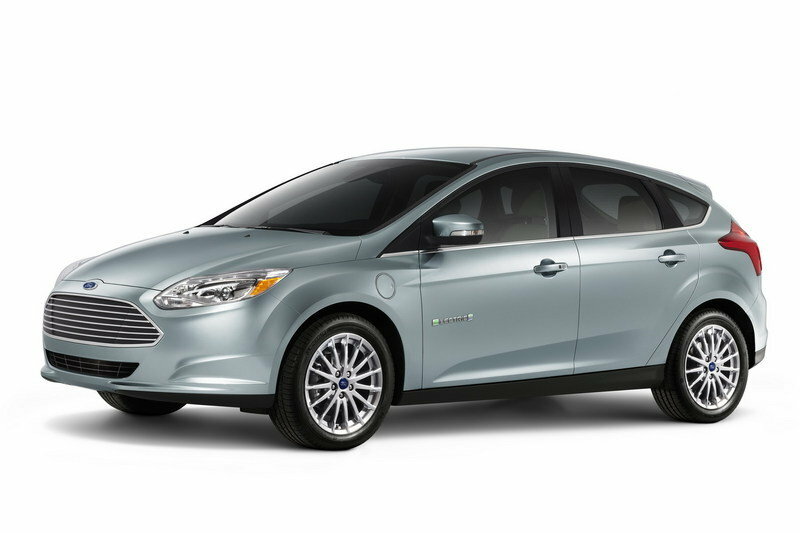 Ford Motor Company unveiled today its all-new Focus Electric – the company’s first-ever all-electric passenger car. The zero-CO2-emissions, gasoline-free version of Ford’s popular small car is the flagship of the company’s growing fleet of hybrid, plug-in hybrid and all-electric vehicles coming to North America and Europe by 2013. 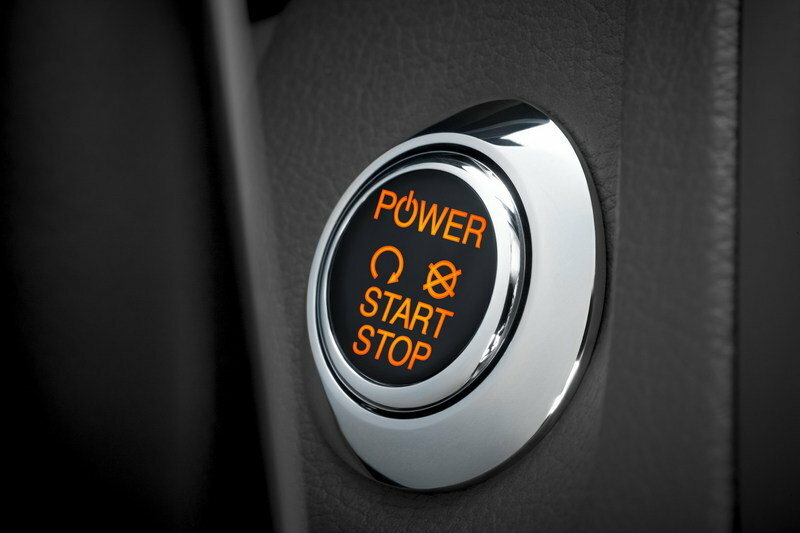 Focus Electric offers a host of standard safety and security features including six airbags and electronic traction control, along with hands-free SYNC® telephone connectivity and MyKey® for North America. 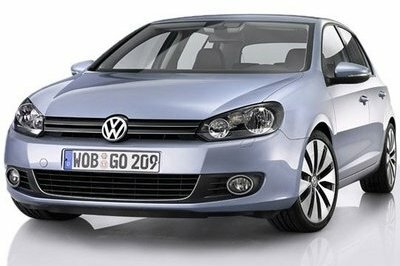 Extensive eco-friendly materials, such as bio-foam seat cushions and recycled fabrics also are featured in the vehicle. For sure, they will but it took time. Of course, they also need a permission to the WRC and fia to change the power source of the car. For some reason, I don’t like the exterior detailing of this focus, and it seems that it is not a Ford vehicle on that. However, it’s a good thing that it has an awesome interior. Looks very common for me and it seems so boring for me. I just hope that the interior will retrieve the disappointment that I feel because of its exterior. I am not really impressed with the exterior design of this Focus Electric, they are right that this one looks so simple but I must say that the interior is really impressive for I. Looks so simple and ordinary but the interior amenities are really great and awesome. I must agree with them that electric cars seems not so reliable nowadays. I am not sure what this statement (According to Ford it delivers a mile-per-gallon equivalent better than the Chevrolet Volt.) means? Just like what i have said before, I don’t believe in the concept of electric cars. Because i don’t believe that it can make the car run with full electric for sure, when at the time that it loses it power it will used diesel engine. I have always wanted to see them do an electric version of the Focus, since I think that the car is well suited for it. Good thing that they actually listened. Interesting when Ford’s own website calls it a 2012 ’Focus Electric’ and claims a release date in late 2011 before xmas of this year. I can buy a 24 Kwhr lithium battery pack NOW and it will weigh less than 450lbs A 120hp motor and controller will weigh less than an IC engine and all of its ancillaries Surely Ford is using better technology than I can buy as a hobbyist and a cheap one! dang, the front grilles looks exactly the same as the Aston martin Vantage. 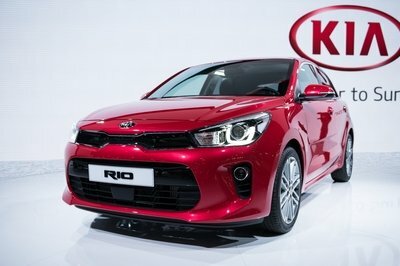 I wonder if they can also use this kind of technolgy on focus wrx and fiesta wrx. If you look with blurry eyes you can confuse it with the Grande Punto! especially from the front-side! Yes! this is a Ford Focus! You cannot make mistakes about this one. All of the Focuses have this sharp arrow style that you cannot miss. Even if they look totally different! 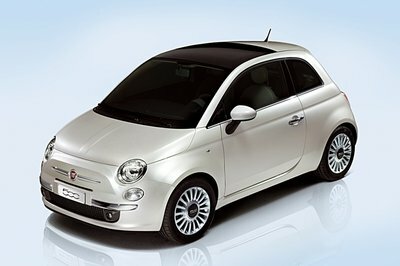 More similar to Grande Punto than with the Aston Martin! It can easily pass from front view as a Aston Martin I’ve seen this on the Fiat Grande Punto, but on this Focus is more obvious, almost like the Aston Martin!